Wildlife Cruise to and from Seldovia. Daily Shuttle. 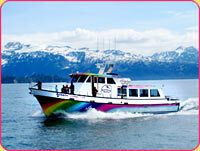 Home of the Half Day Halibut Charter!